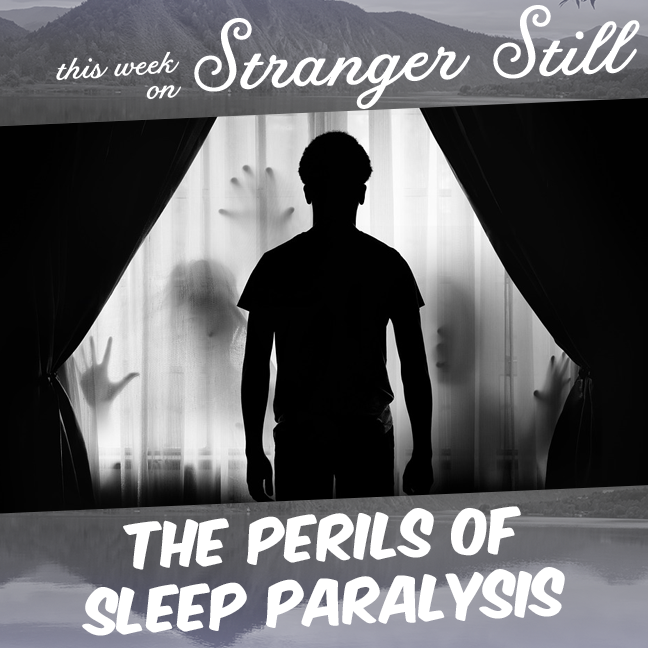 In this episode, we explore, “The perils of sleep paralysis.” My friends, my spooks, my specters… It’s finally Octobermonth! A time of year so great, we do a whole month of spooky topics! What better way to start the month with the sleep? Will we bore you into a nap? Or will we spook you awake? Join us finding out and laughing along the way! Every week on Stranger Still, we take the questions you’ve never questioned to ask and try to answer them. We want to make you laugh and teach you something interesting at the same time. So join us every Wednesday for another fun filled learn! Where did Halloween Come From? What’s the Point in Acupuncture? Do Birds Abandon Their Babies if you Touch Them?